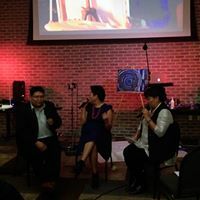 Re-launch of the newly formatted ART2ART program in October at Gallup’s Artscrawl, featuring Delbert Anderson, trumpet, and Winona House, artist and theramin, in a 30-minute collaborative performance followed by an interview and Q&A with the audience led by Melissa Sanchez, Acting Chair of the commission. Sponsors were GallupARTS, New Mexico Arts, and the New Mexico Music Commission Foundation. In November 2018, New Mexico Arts committed $2,000 to the annual Art2Art budget, with funds to be used exclusively for artists fees. Procured $10,000 in annual funding for the NMTour, through New Mexico Arts, to be used exclusively for artists fees. Established in 2016, NMTour sponsors New Mexico-based musicians performing at rural venues around the state. At this time, program funding is available to current NMA Grantees only but will eventually be rolled out to the general public. Thank you, again, New Mexico Arts, for this generous funding! Launch of the second annual Platinum Music Awards. Nominations were accepted from the public February 1 to March 15, 2018. Honorees were announced April 19, 2018 at Candyman Strings and Things in Santa Fe. 2018 honorees: Antonia Apodaca, Dr. William Clark, Thomas Guralnick, Nacha Mendez, Malcom Yepa, and Hummingbird Music Camp, Lee Berk Award recipient. Awards ceremony and dinner Thursday, August 30, 2018, 6pm, Santa Fe Hilton. Awards show August 30, 2018, 7:30pm, Lensic Performing Arts Center. Launch of the Music in the Schools pilot project with the Santa Fe Public Schools. Using proceeds from the Platinum Music Awards ceremony and show, the Music Commission and its Foundation, in partnership with Santa Fe Public Schools Fine Arts, developed a visiting artist program in which professional musicians and music educators are contracted to deliver assemblies, master classes, guest conducting, sectional rehearsals, and lessons to music students in the Santa Fe Public School system. With the continued growth and success of the Platinum Awards ceremony and show, it is the hope of the Commission and Foundation that this project will be expanded to other school districts around the state. Featured new students in the Commission’s new Student Musician Spotlight series: Haven Hall, Jordyn Tatum, DeAnna Smiley, Morgan Settecerri, Sydney Chapman, Wesley Dong. Launch of the new Platinum Music Awards. 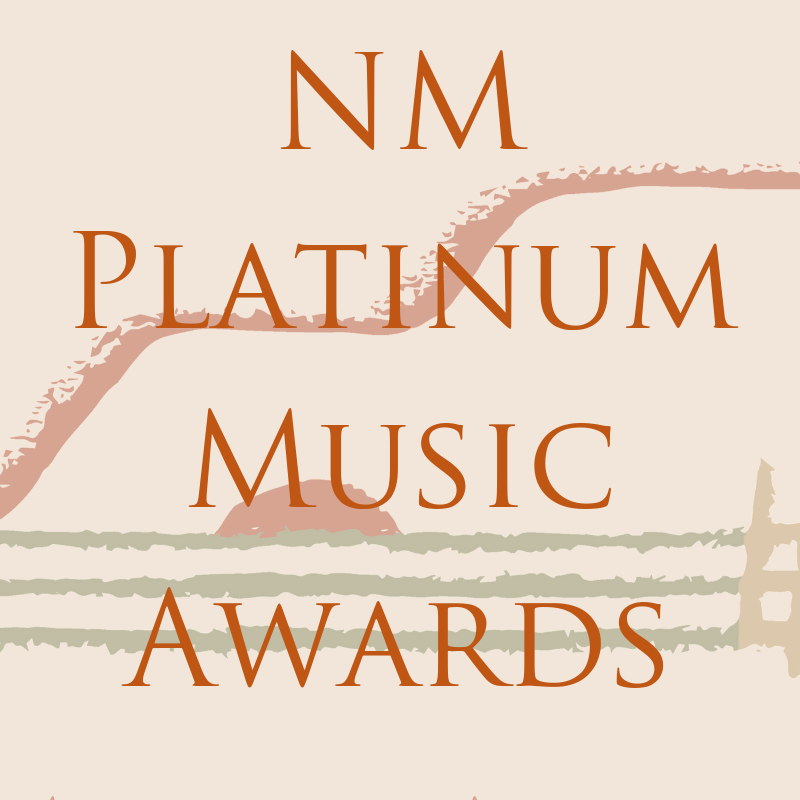 “The Platinums” are an evolution of the New Mexico Music Commission’s Platinum Achievement Awards, established in 2013 to celebrate the role that the music industry plays in the cultural life and economic success of New Mexico. 2017 honorees Arlen Asher, Fernando Cellicion, Bill and Bonnie Hearne, Al Hurricane, Dr. Dale E Kempter, and Catherine Oppenheimer, recipient of the Lee Berk Award, were honored during an awards ceremony at the Palace Restaurant and Saloon followed by an awards show at The Lensic Performing Arts Center in Santa Fe, July 21, 2017. The Platinum Music Awards ceremony and show were produced by the New Mexico Music Commission Foundation and All State Insurance was a key sponsor. Joe West served as emcee and many prominent New Mexico artists performed during the show. Launch of the Student Musician Spotlight, December 2017. The Student Musician Spotlight series was established to honor the remarkable achievements of our state’s talented and dedicated student musicians. Selected students will be featured in the Showcase section of the Music Commission’s web site and Facebook page. Students will also receive a certificate of recognition from the State. 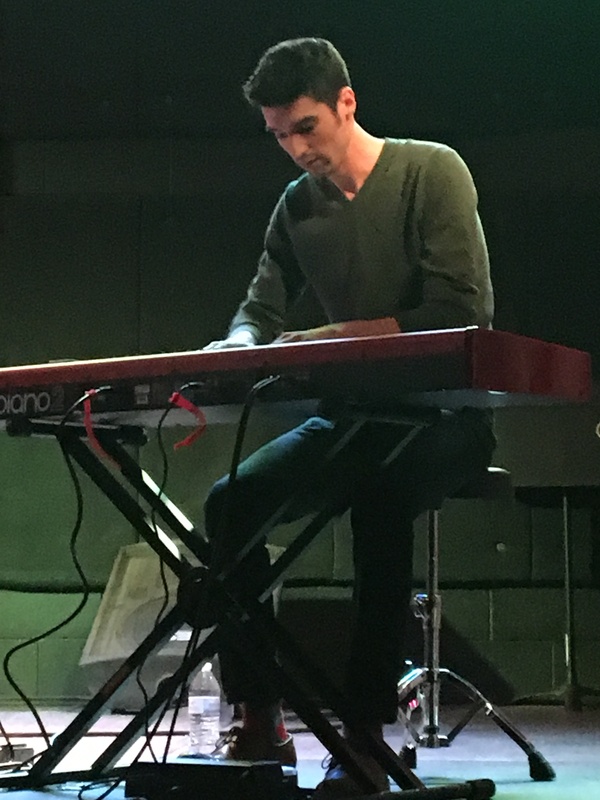 The featured student musician for December was Atticus Wolf. Partnered with AMP Concerts, State Historic Sites, the Department of Cultural Affairs, New Mexico Arts, and concert promoter Janey Potts to produce the 2017 State Historic Sites Concerts, featuring New Mexico musicians performing music historically relevant to each state historic site. Music Commissioners George Adelo, Rick Huff, and Melissa Sanchez served as emcee for each event and historic site staffers provided tours during intermission. Concerts took place at the Lincoln, Jemez, and Coronado historic sites. Approved a comprehensive three-year strategic plan for the Music Commission, seeking public input through its development process. Approved the Platinum Music Awards (a lifetime achievement in music award) as an annual fundraiser and signature event for the Music Commission, with an awards ceremony to take place at the Lensic in Santa Fe. David Schwartz, NMMC Chair 2013-2016, returned to the Music Commission Foundation to head up fundraising and production for the annual event. A two-year contract was signed to continue the State Historic Sites Concerts series begun in 2015. AMP Concerts and promoter Janey Potts won the public bid to promote the concerts. The concert series is a joint partnership between the New Mexico Music Commission, New Mexico Arts, the Department of Cultural Affairs, State Historic Sites, and AMP Concerts. The NM Tour was initiated in partnership with New Mexico Arts, sponsoring New Mexico-based musicians performing at non-profit venues in rural New Mexico. The Music Commission sponsored the La Cueva High School Camerata, under the direction of Rebecca Simons, at the Department of Cultural Affairs ‘Culture Day‘ at the Roundhouse during the 2016 Legislative session. Partnered with AMP Concerts, State Historic Sites, the Department of Cultural Affairs, New Mexico Arts, and concert promoter Janey Potts to produce the State Historic Sites Concerts, featuring New Mexico musicians performing music historically relevant to each site. Music Commissioners David Schwartz, Rick Huff, and George Adelo served as emcee for each event and historic site staffers provided tours during intermission. The music commission awarded singer Jerry Lopez the Platinum Achievement Award at the FantaSe Festival in deVargas Park. The Platinum Achievement Award is the state’s highest music recognition awarded to state musician’s or music supporters exhibiting a longstanding and high achieving service to the state’s music industry. Endorsed Metropolitan Opera auditions in New Mexico. New Mexico will become the 42nd district in the United States to host auditions for the Metropolitan Opera starting in January 2016. The district will audition approximately 40 singers and finalist(s) will move up to regional auditions in Denver. Created a new logo and branding for the music commission; created new Facebook and LinkedIn music commission accounts; overhauled the music commission Web site – the first significant upgrade to the site since its inception in 2005. Produced two Music Industry Mentoring Sessions for music majors at New Mexico School for the Arts. Panel included music commissioners and local music professionals. 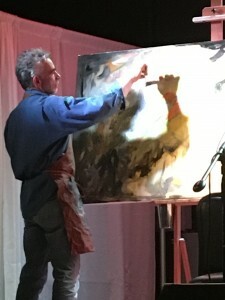 Produced two Art2Art events featuring live music and visual art hosted by a Santa Fe art gallery. The first event was held at Garrett’s Desert Inn and featured music by Nacho Mendez and visual art by Linda Storm and Pablo Perea. The second event was held at Zane Bennett Gallery and featured music by Glen Neff and visual art by Brandee Caoba. Herb Jeffries received a Platinum Achievement Award from the Music Commission at the Western Music Association conference in Albuquerque. Platinum Achievement Award was presented to legendary jazz promoter Bumblebee Bob Weil at the Lensic Theatre in Santa Fe. Produced one Art2Art at Casweck Galleries in Santa Fe featuring visual artist Robbi Firestone and singer-songwriter Sean Healen. Platinum Achievement Award presented to Kenneth Broad for his contributions to promoting and preserving the legacy of Buddy Holly through the Buddy Holly Museum in Clovis, New Mexico. Hosted the Music in Film Summit, in collaboration with NM Film Office and Lensic Performing Arts Center, educating New Mexicans about music in film. Produced a television series called New Mexico Southwest Sounds. The series promotes New Mexico music and tourism. In 2010, it aired on PBS affiliate KRWG-TV and has also aired on ABC affiliate KOAT-TV, PBS affiliate KENW-TV, various hotels/motels, government television stations, public schools, YouTube and www.newmexicomusic.org. The series received a Telly Award in 2008 and again in 2009 for content and production. Hosted a weekly radio show featuring musicians of all genres on KBAC radio in Santa Fe. The show was syndicated to radio stations throughout the state. Produced New Mexico Southwest Sounds television series. Produced a documentary about New Mexico music legend Norman Petty, in collaboration with You and Me Productions. The documentary aired on all PBS affiliates throughout New Mexico and was used as pledge drive to raise money for public broadcasting. The documentary was distributed to PBS affiliates throughout the country. Hosted a GRAMMY conference with Lizzy Moore from the Recording Academy, teaching New Mexicans how to get involved. Hosted Professors from the Berklee College of Music to teach New Mexicans about the process of film scoring during the NM Filmmakers Conference. Partnered with the State Fair to host a talent competition. Winners from several genres received studio recording time, equipment, photography, performances with the City of Albuquerque and other prizes. Sponsored education and business panels with representatives from various professions in the music industry during the Hyperactive Music Festival. Hosted a meet and greet event introducing composers to filmmakers during the New Mexico Filmmakers Conference. Sponsored an internship program with Fan Man Productions, teaching students technical aspects of the music business. Partnered with Music NM Style to collect CDs for New Mexico Troops. Created an ever growing web site that serves as a free referral network listing musicians, employment / volunteer opportunities as well as businesses, associations and events and festivals. Hosted Music in Film Summit, in conjunction with the City of Alb. Film and Music Offices, educating New Mexicans about music in film.